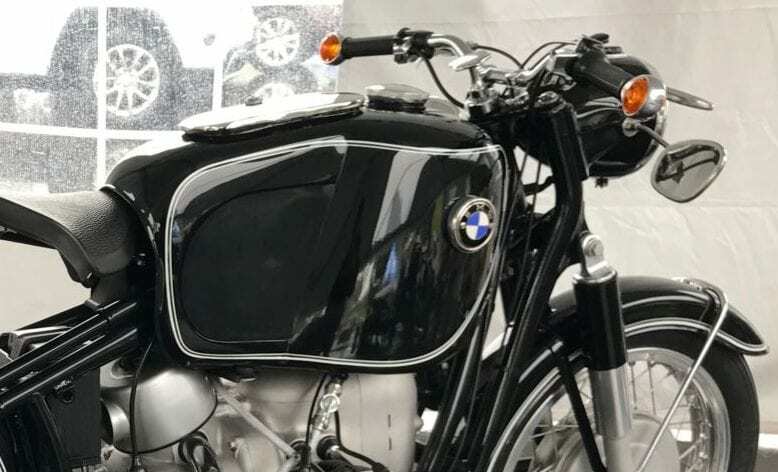 Ernst Hoske and Karl Heinrich are best known for their oversized 8-10 gallon aftermarket fuel tanks that adorned BMW’s in the 1960’s and 1970’s. Very little has been written or documented about the life of these two German artisans. I saw my first Heinrich-equipped BMW when I was about twelve years old. The machine was a black sidecar rig and it was outfitted with an enormous gas tank that looked like a cancerous growth. 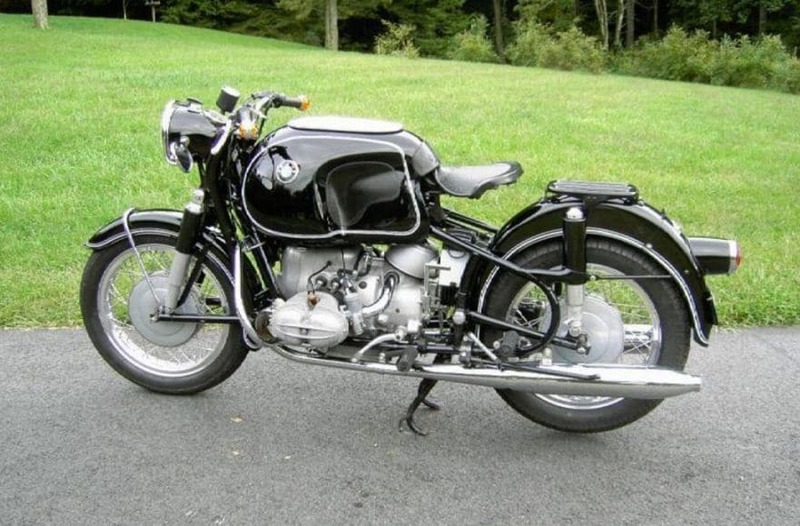 An oversized Hoske or Heinrich tank is an acquired taste because, at first sight, they seem to distort the elegant lines of a BMW R50, R60/2, or an R69S. 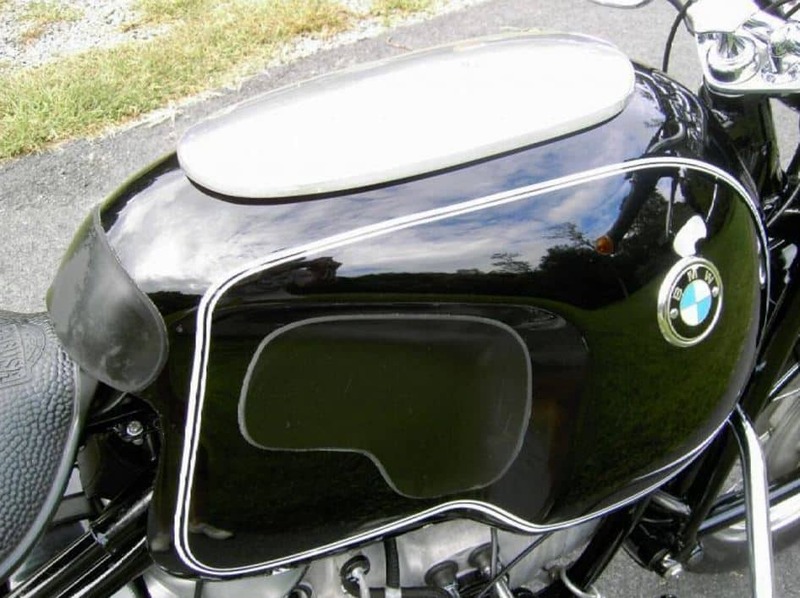 But these hand-made works of art have a way of growing on you—They add a really special look to any vintage BMW. 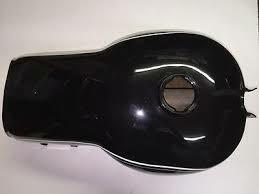 They also have a functional side because they provide an extended range between fuel stops. 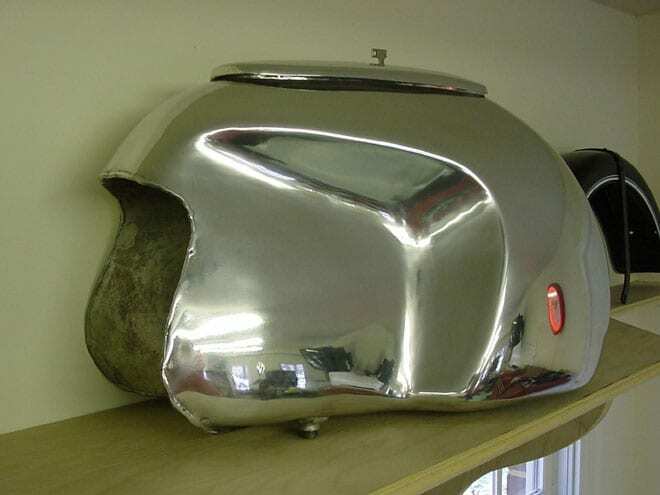 Fuel tanks that were hand-fabricated by Ernst Hoske and Karl Heinrich are rare and collectible items today. 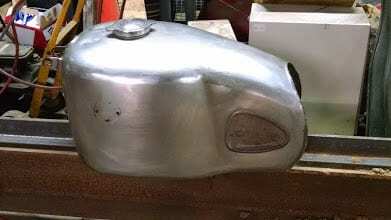 Over the last several years, I have made it a point to acquire any authentic Hoske or Heinrich tank that comes up on eBay or through my vintage BMW motorcycle network. Right now, Turtle Garage has four Hoske tanks of various sizes and styles. For me personally, the angular Hoske tanks are more attractive than the bulbous Heinrich design. Ernst Hoske was born in Germany in 1921. 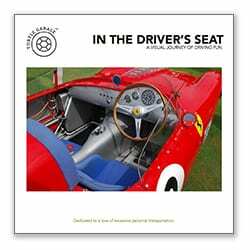 He was a successful BMW motorcycle racer and rode in the 500cc classes. 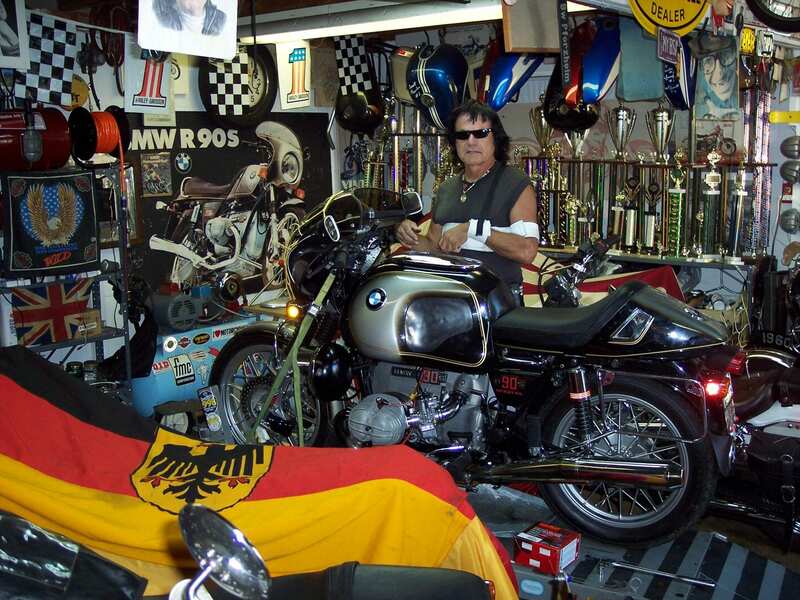 Later, he opened up a small private shop and started fabricating aftermarket gas tanks, seats, exhaust systems, and miscellaneous racing equipment for BMW motorcycles. 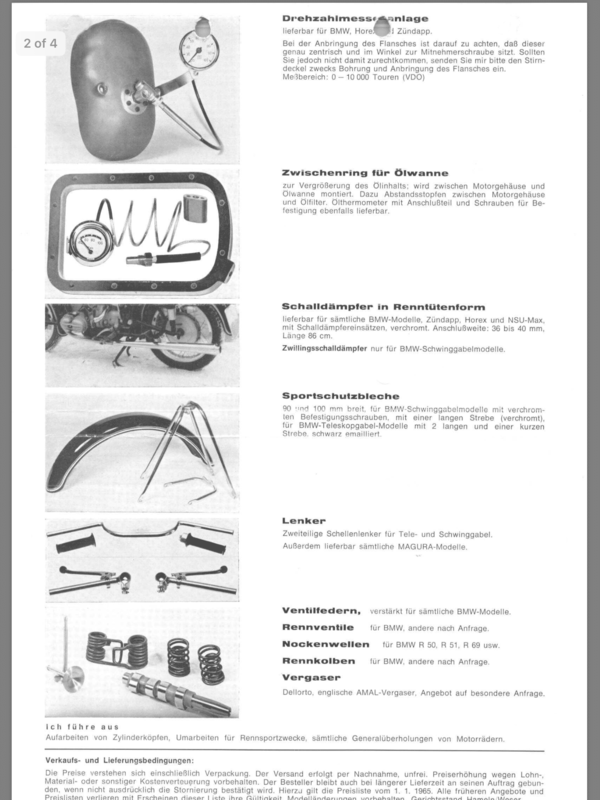 Hoske’s workshop was ultimately taken over by Kurt Straubel in 1969. Later, Hoske’s son-in-law inherited the business. Ernst died in 1976. 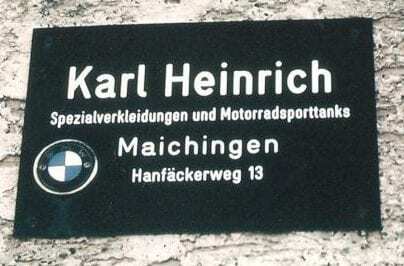 Today the workshop is located in Hameln-Hottenbergsfelda and is a BMW dealer called Fuchs. 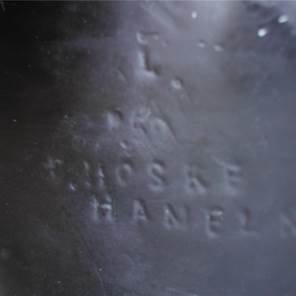 Reproductions of his famous “Hoske Bags” exhaust pipes are still being produced today. 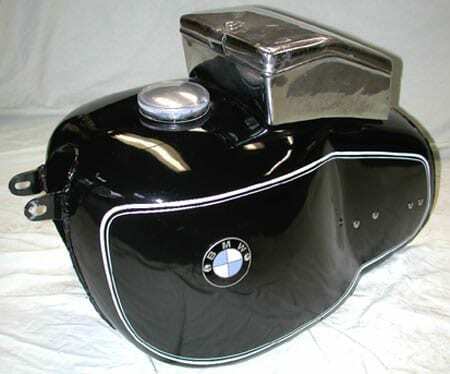 Karl Heinrich also designed oversized BMW fuel tanks and he produced them from the 1960’s through the 1980’s. He created a myriad of different tanks in various sizes. Each tank shares a stylistic resemblance in that they are shaped in a bubble-like fashion. Heinrich tanks usually have a sidecar cut out on the lower right front. 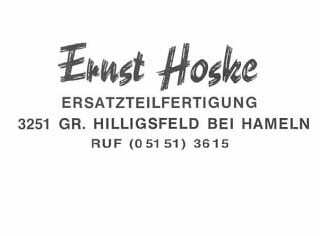 I was at Ernst Hoske’s shop on three occasions. The first time was to buy an 8.5 gallon tank for my first bike, a 1965 R60/2. I was blown away by shelf after shelf of hand-made custom tanks to choose from. I returned late in the summer of that year after taking an epic trip through Eastern Europe, Turkey, and Greece. I inherited some money from my grandfather and I decided to buy an R69S. I faced a tough decision whether to buy the R69S or a Hollandia sidecar for the old R60/2. While I was waiting for my grandfather’s money to arrive from America, I was staying near Ernst’s shop. The money somehow got lost in transit and Ernst gave me some cash to tide me over. I stayed at a local youth hostel called the Pied Piper in nearby Hameln. I spent my days with Hoske until funds arrived. During my stay, Ernst told me several stories about his life. 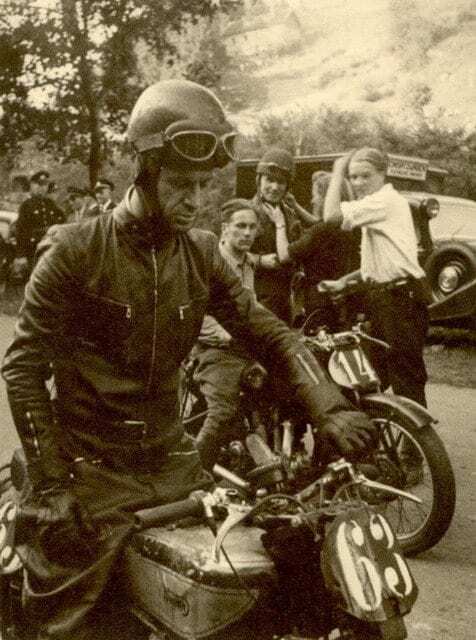 He had been a motorcycle courier during World War II. Ernst was barrel-chested, and he wore a white shirt & lederhosen. I left the R60/2 with Hoske for service and I rode the R69S to Sweden where I had spent my junior year abroad. I left the R69S in Gothenburg and sailed with a boat load of Saabs to New Haven, Connecticut. 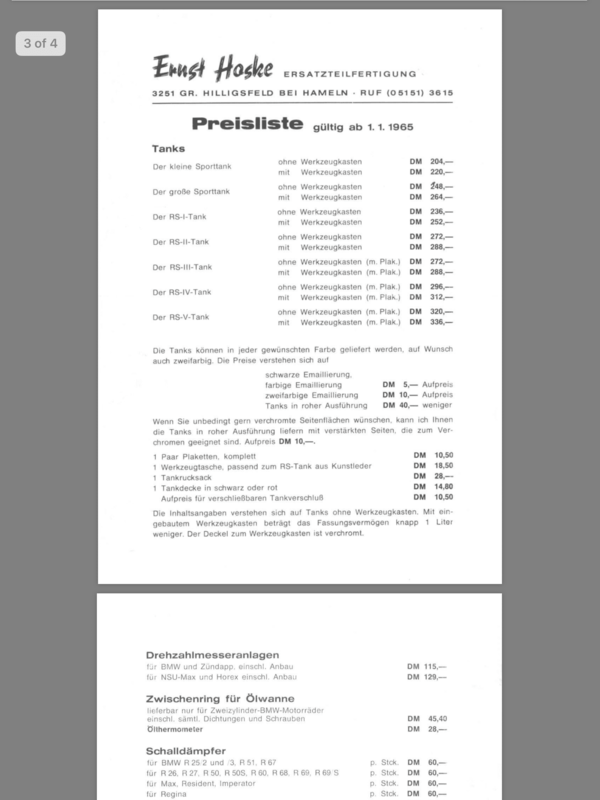 I eventually returned to Germany with Pia Lindquist and retrieved the R60/2. We rode through the night from Hoske’s shop in Gross Hillingsfeld all the way to LeHavre, France. There we boarded the Aurelia, chartered by the National Student Association and returned to the United States. I recall it was only $30 extra to bring the motorcycle on the ship. It was the same price as shipping a bicycle. I rode that very same R60/2 to the Woodstock music festival the following August! I sadly lost track of where those two bikes are today. 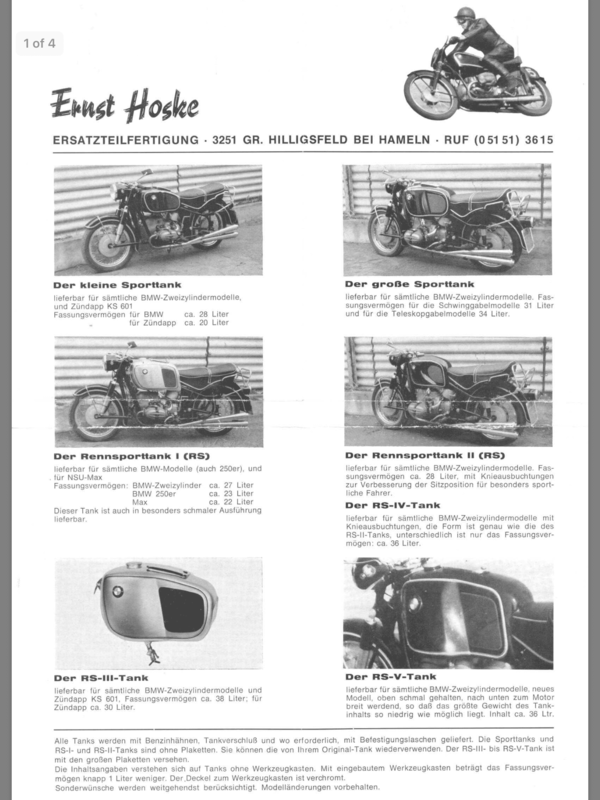 Hi saw your article and I believe I had a Hoske tank on a BMW I owned for a short time in 1965. I do have picture but can’t quite figure how to put it in this email. Purchased the bike from a German soldier who built it. ’52-53 frame, 58 engine and a lot of chrome. Think the tank was an RS-111. I have a Heinrich tank. It is painted that BMW metallic blue. On the inside of the tank cover is inscribed the number 121. Any significance that you would know of. Thank you. 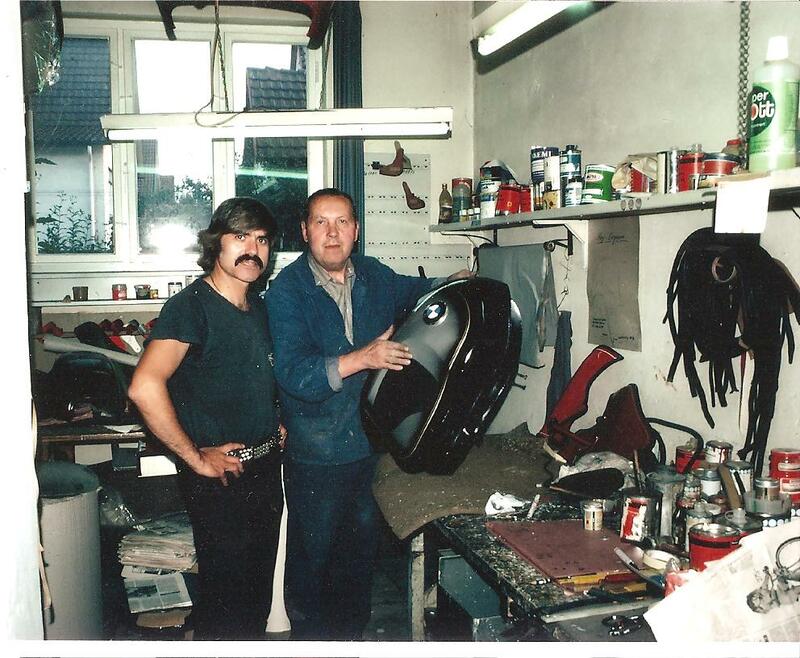 I was fortunate to meet with Karl Heinrich and spend several hours with him at his home and shop while touring Europe with Karl Duffner many years ago. 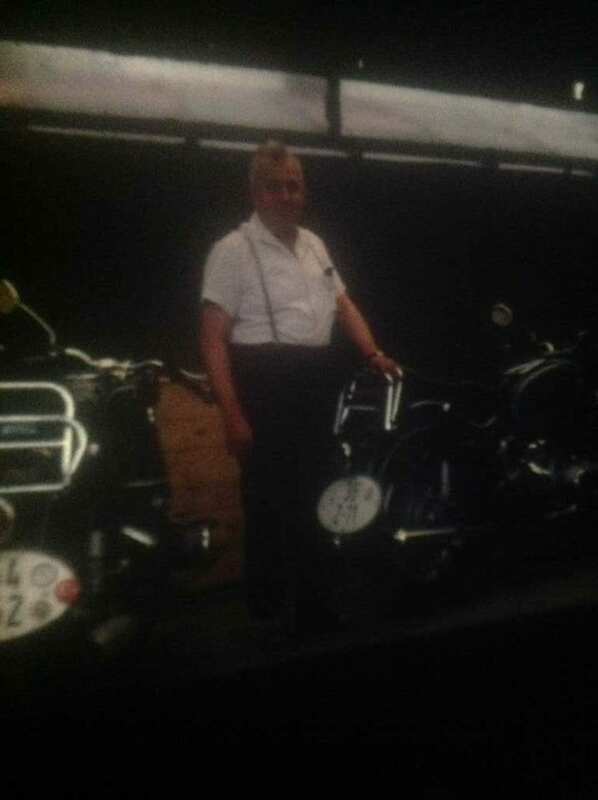 Karl Duffner was one of my best friends, I rode with Karl for over 30 years, before his passing in 2010. 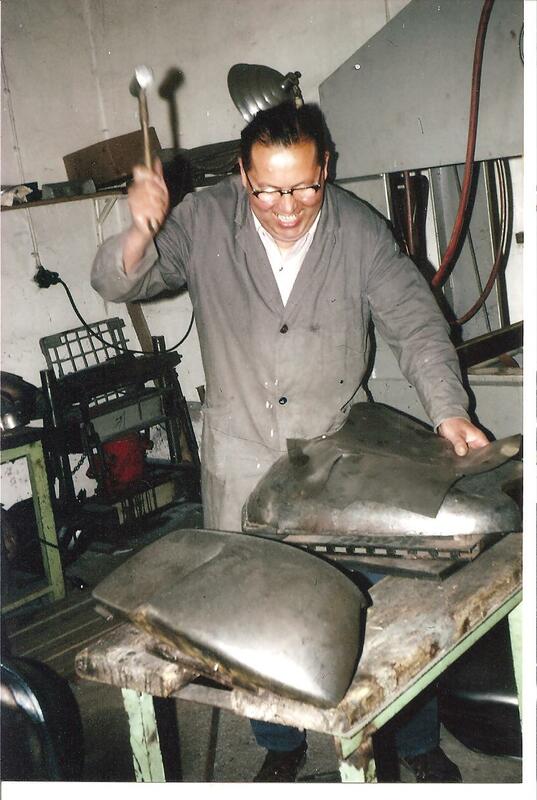 He imported many Heinrich tanks for himself and others, during the 80’s and 90’s. Those photos of Karl Heinrich and Karl Duffner are photos I submitted long ago and I guess somehow Steve Bauer got a hold of them, or I may have emailed them to him via the R90S club. I am friends with Steve also and he has been to a few of my anniversary events. 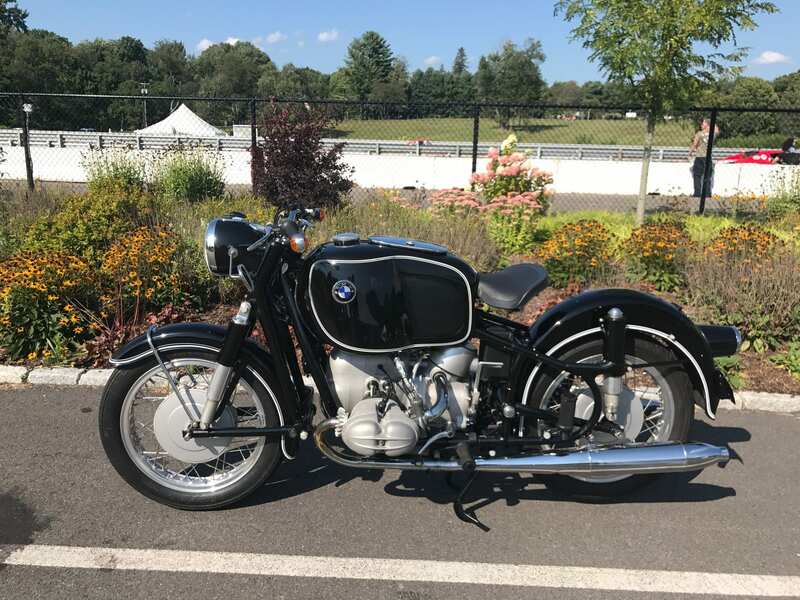 I’m sure I was in contact with you a few years ago when I was organizing a group of vintage BMWs for the Simeone Museum and the Radnor Hunt Concours d’Elegance. I forgot to mention the special one-off tank that Heinrich made for Duffner’s ’74 R90S is 50 liters or approximately 13 gallons. That extra fuel came handy when we were touring Nova Scotia and Newfoundland. I’m lucky enough to be the new care taker of Karl’s R90S and you do notice the extra weight when the tank is full, but there is no need to fill the tank every time. Also, I’m one that happens to prefer the smoother more gentle lines of the Heinrich verses the more sharper lines of the Hoske.